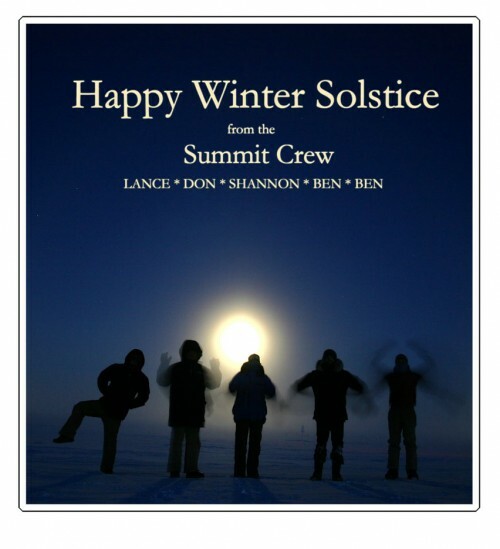 Our friends at Summit Station on Greenland's ice sheet sent the following solstice greeting: Be the first to answer any of these questions and win an iTunes gift card! 1. What is the light source behind them? 2. What is the team doing? 3. Which Ben is which?